Photography Poster: This stunning Satellite Urbanization image of North America could well be a piece of fantasy art with its beautiful twinkling lights and shades of blue ocean. 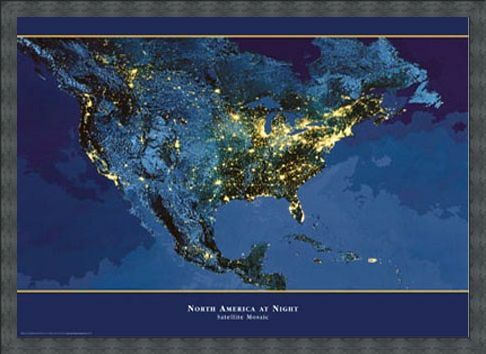 Taken at night this intriguing image even extends down as far as Mexico, with the states of Florida, Georgia, Louisiana and Virginia coming alive at night. 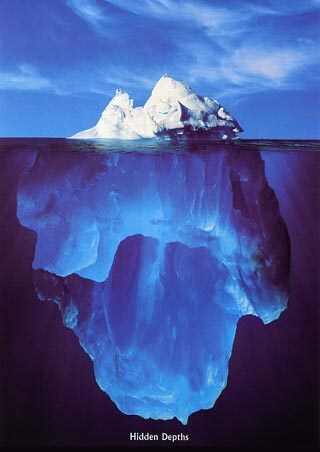 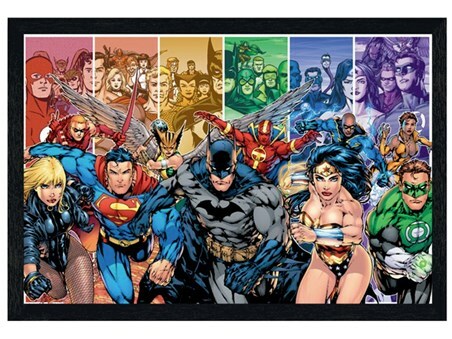 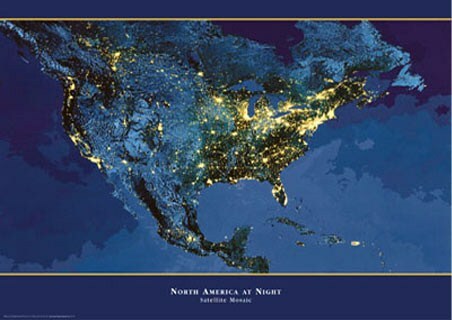 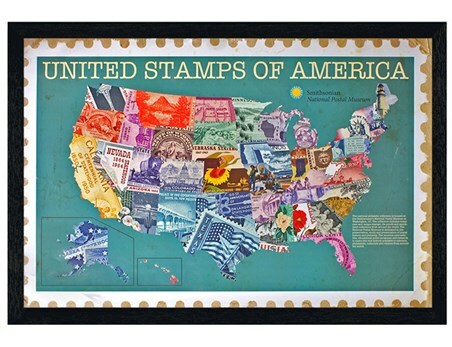 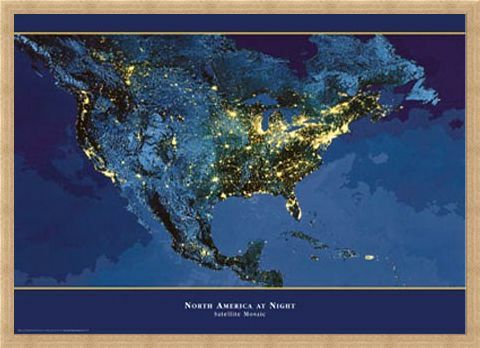 Fit the whole of North America into your home with this stunning poster that is sure to make an impact in any home. 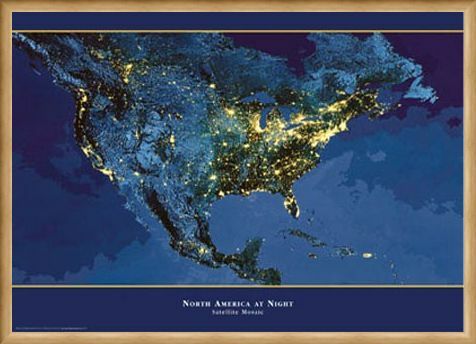 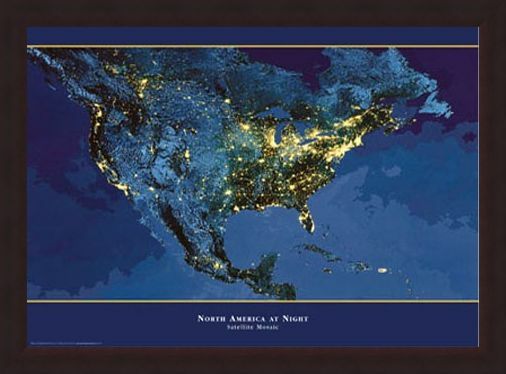 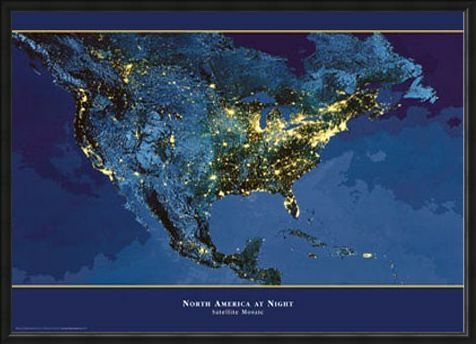 High quality, framed Satellite Urbanization Image of North America, North America At Night poster with a bespoke frame by our custom framing service.